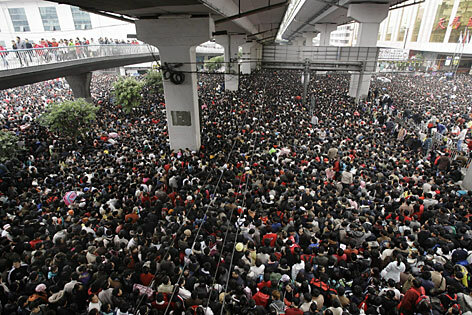 It is hard to visualise what 1.4 billion people is like in China. That’s a lot of people. Just look at the thousands of passengers waiting to get inside the Guangzhou Railway station in Guangzhou, in south China’s Guangdong province. Amongst these are many not gainfully employed. With so many unemployed, why are restaurants in China finding difficulties to get people to work? Is it that bad that they have to resort to using robotic waiters? There’s obviously a disconnect or mismatch between utilisation of labour. With 1.4 billion people, lack of labour resources should not be an issue as can be seen by the unemployment figures. Will the use of robotic waiters (watch robotic waiters in action in China) help to alleviate “labour shortage” or actually aggravate labour deployment in the longer term? The battle between business cost and productivity is intense. The pricing mechanism for the use of labour is increasingly being attacked by robots. If robots continue to challenge human labour cost in the service industry to a point where humans are eventually replaced, the future ahead for the multitudes in populous China is indeed bleak. 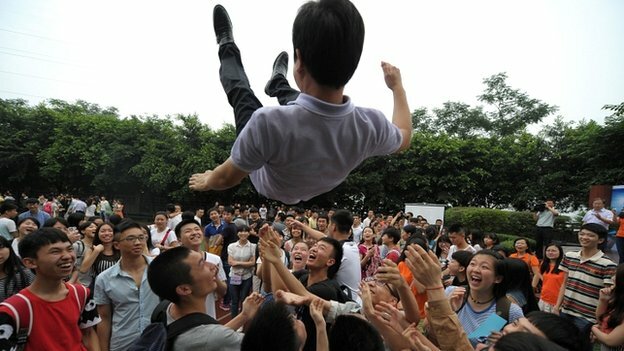 What will China do if unemployment is not properly addressed? Will the growing unemployed ultimately retaliate with labour unrest? The tussle for profits at the expense of social needs is a dangerous game in the capitalist ideology. China’s rapid economic expansion from a Communist society into a capitalist paradise presents a textbook case study of the potential dangers capitalist greed overpowering social expectations. When robots rule (read more) while millions are made redundant, will society still exist in its present form? The poor and unemployed ceased to have functional value to the capitalist masters. Perhaps the idea of human culling starts to make sense to those who think they rule the world. This entry was posted on January 6, 2015, 9:11 pm and is filed under Lifestyle, Social, World. You can follow any responses to this entry through RSS 2.0. Responses are currently closed, but you can trackback from your own site.